A Findlay, OH insurance agency has earned, for the second time, the highest award from insurance carrier MutualAid eXchange (“MAX”). ARK Insurance Services has been designated a Premier Agency for its commitment to MAX’s fair, faithful and socially responsible values and business practices. When not running the agency, Coppes supports Habitat for Humanity as a way to give back to the community. ARK is located at 2135 Tiffin Avenue, Findlay, OH 45840. Phone: 419-425-4200. Email: kcoppes@arkinsservices.com. Website: www.arkinsservices.com. 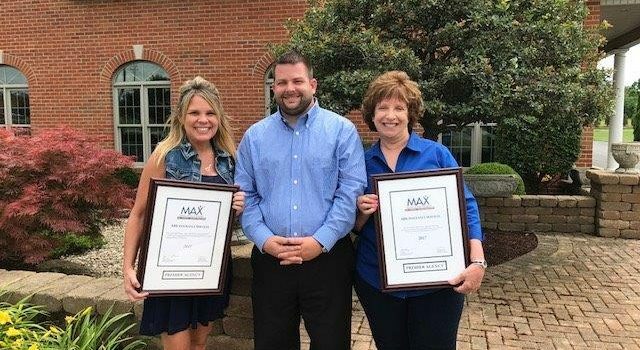 Photo: Angela Cotton and Kathy Coppes of ARK holding both of their Premier Agency plaques with Phil Blount, Field Sales Director of MAX.